Mary appears here as a Madonna of Humility. This image has also been characterized as a Madonna of Humility. Thyssen-Bornemisza Museum / Barcelona Museum? This panel probably formed part of a triptych which was subsequently dismembered. 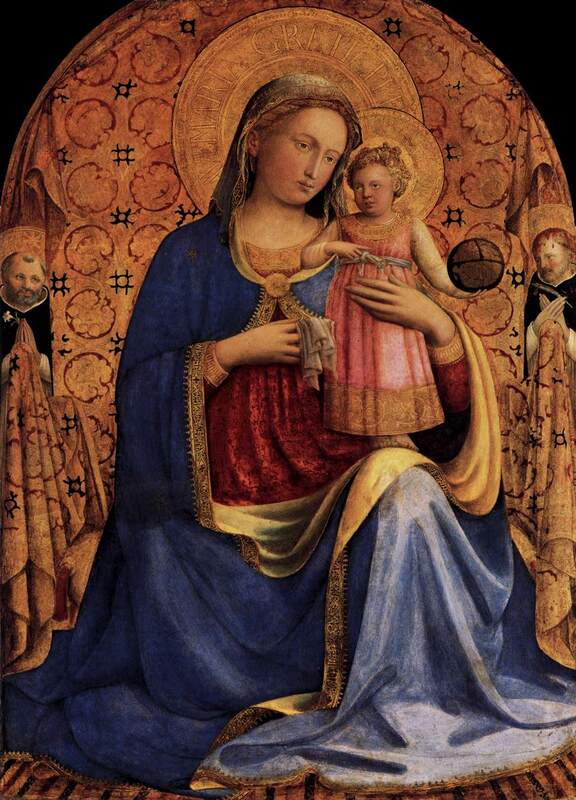 The two angels sitting at the feet of the Madonna are playing a portable organ and a lute.